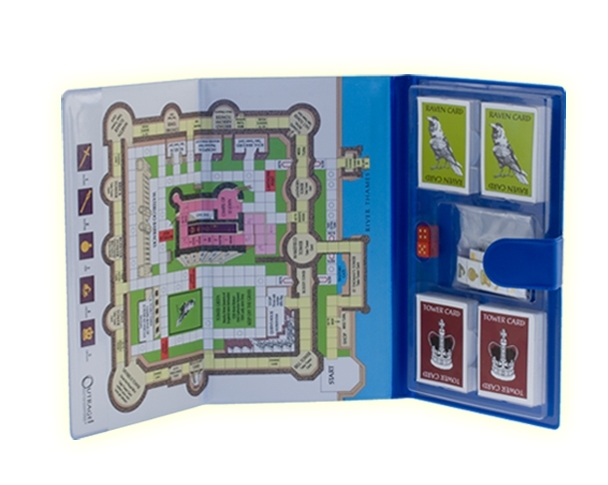 This travel game is a game of skill to "Steel the Crown Jewels". An easy to folded cases that opens out to a printed magnetic board with magnetic pieces. This beautiful charm bracelet holds the charms for the coronation regalia. This set of miniature crowns and regalia is skillfully made by craftsmen of Crowns&Regalia from Lead Free English pewter and gold and silver toned set with Swarovski Elements and hand enamelled. 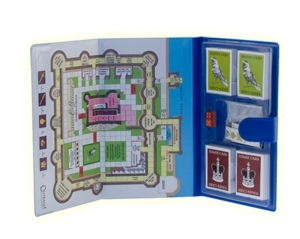 Outrage - the game to enjoy by "Stealing the Crown Jewels". The Outrage Board game is all about "Steeling the Crown Jewels". This Collectors set of miniature Crowns and Regalia is hand cast in the UK by craftsmen of Crowns&Regalia, gold or silver toned and set with Swarovski Elements. Featuring the St Edward's Crown, the Imperial State Crown and the Sovereign's sceptre with the Cross.